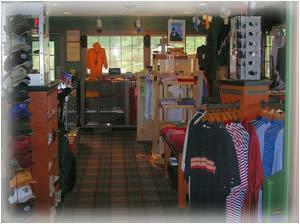 Director of Golf Ryan Spicer and his staff would like to welcome you to the Golf Shop at Sawmill Creek. Our staff takes pride in making your day a memorable one and our goal is to exceed our customers expectations, everyday every play. In our full service proshop you will find the latest in men's and women's golf apparel from Adidas, Puma, Under Armour, Nike, and Footjoy. 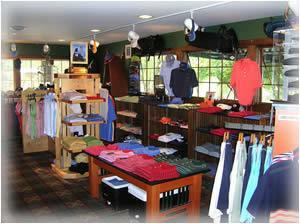 We also offer golf clubs and balls from companies like Titleist, Nike, Taylormade, Cleveland, and Callaway. Whether shopping for yourself, a friend, or choosing your prizes for a company golf outing, the staff at Sawmill Creek will guide you to the hottest fashions and latest technology. Gift Certificates are also a great gift idea for that outing prize or special someone you're hoping to impress. Gift Certificates come in any denomination and can be purchased by calling the proshop at (419) 433-3789. April 1 - May 27 7:00 A.M. - 6:00 P.M. 6:30 A.M. - 6:00 P.M.
May 28 - Sept. 30 7:00 A.M. - 8:00 P.M 6:30 A.M. - 8:00 P.M.